Artist Tania Kovats has spent years traversing the seas, waterways and frozen poles of this planet, creating artworks that catalogue her fascination with bodies of water. Scale doesn’t tend to be an issue for Kovats – for All the Seas (2012-2014), she collected seawater from over 200 seas on the planet using a global network of contributors, and she once moved an entire wildflower meadow across Britain on a canal boat. Her newest sculptural work, Evaporation, is no less grand in scope or mission. 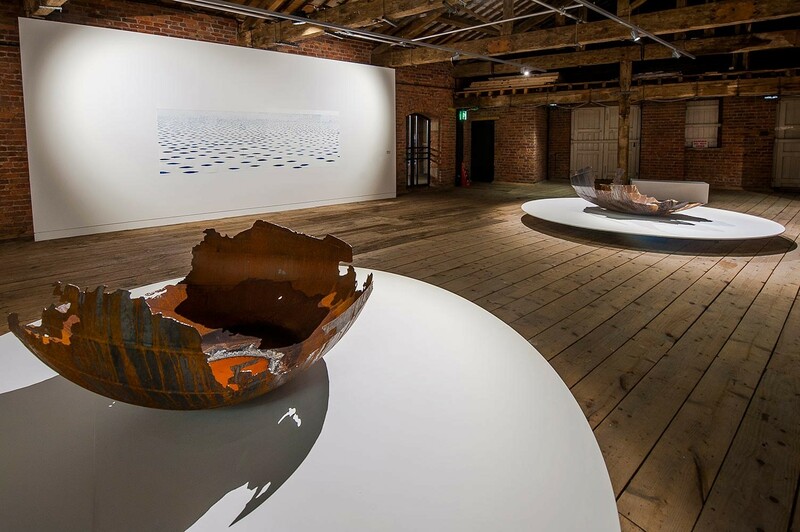 The installation celebrates oceanic tides and was inspired by the work of scientist and environmentalist, James Lovelock – in particular, his revolutionary Gaia theory, which sees the Earth as an interconnected super organism. 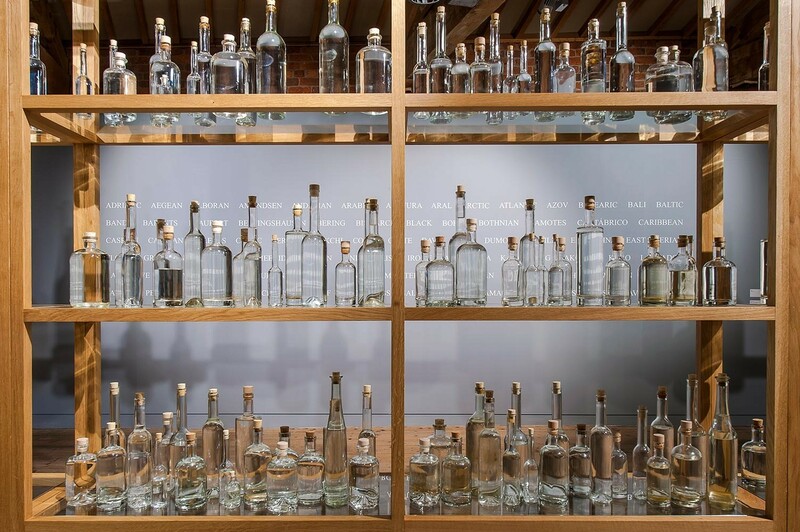 Evaporation is commissioned by visionary cultural climate change organisation Cape Farewell, and is showing at the Manchester Museum of Science and Industry, as part of the global cultural festival on climate change, ArtCOP21. The exhibition runs in tandem with the UN Climate Conference in Paris, COP21, the key international meeting to develop a plan to tackle climate change – or as some have called it, the last chance to save the planet. Despite a tumultuous entry into the art world – Kovats’ 1992 work Virgin in a Condom, a comment on the Catholic Church’s treatment of abortion and contraception, riled protests outside the exhibition space, death threats – Kovats does not see herself as a political artist. “I’m not an activist. I think art can do a lot of things,” she considers. “Art can encourage you to take care, to love things more, it’s an ecology. 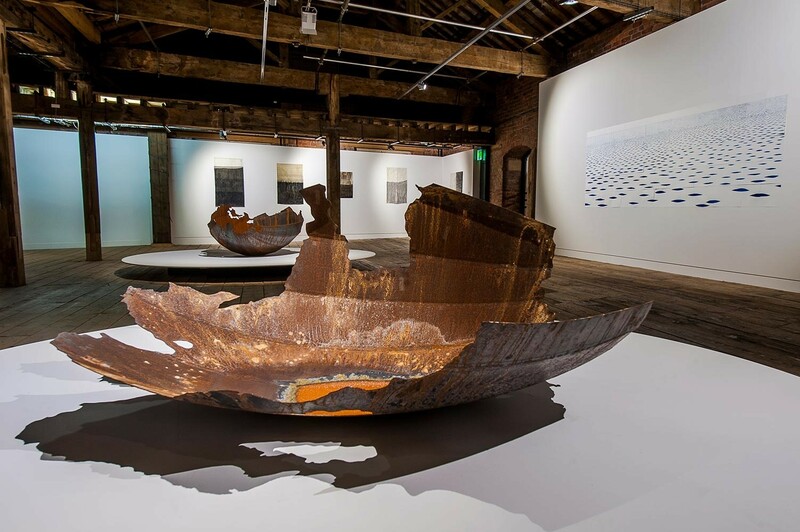 There’s this idea of responsibility within your practice.” Working from her studio, a former mill house in the countryside in Devon, she engages with science and ecology on her own terms, immersing herself in research and emerging with ideas for new work that spans sculpture, installation and drawing. Kovats undertook a residency in the Galapagos Islands, where she spent time with the scientific community there and explored the islands, producing a small tree-like colony of barnacles, Colony (2012). She’s also travelled to the Arctic, taking part in the art project Nowhereisland and for her installation, Where Seas Meet, she journeyed to places in the world where the seas merge, from the tip of New Zealand to the far reaches of northern Denmark, collecting samples of water that she has preserved in connecting glass orbs. She explored South America for six months with her husband and son, producing Tree, a 17-meter, thin sliver of a 200-year-old oak tree, inlaid into the ceiling at the Natural History Museum in London, created to mark Charles Darwin’s bicentenary. She has even built a travelling landscape museum The Museum of The White Horse after a stint as a Visiting Fellow at Oxford University’s archeology department. For Evaporation, Kovats took Lovelock’s Gaia theory as a starting point. That manifested itself in three large steel bowls, delicately crafted by Kovats to resemble the shapes of the world’s oceans, as if they were cut out from a globe. Filled with blue salt water that gradually evaporates, the symbolic oceanic waters leave behind intricate patterns of jeweled, salt- encrusted rings along the sides of the bowls. As a sculpture with its own tides and a visual meditation on the power of nature, Kovats’s sculpture makes the link to one of Lovelock’s most significant findings – that the health of the oceans are a barometer of the health of our planet as a whole. “The Arctic is our canary in a coalmine. It really is the signal of how fragile things are, and how much damage we are doing,” she explains. 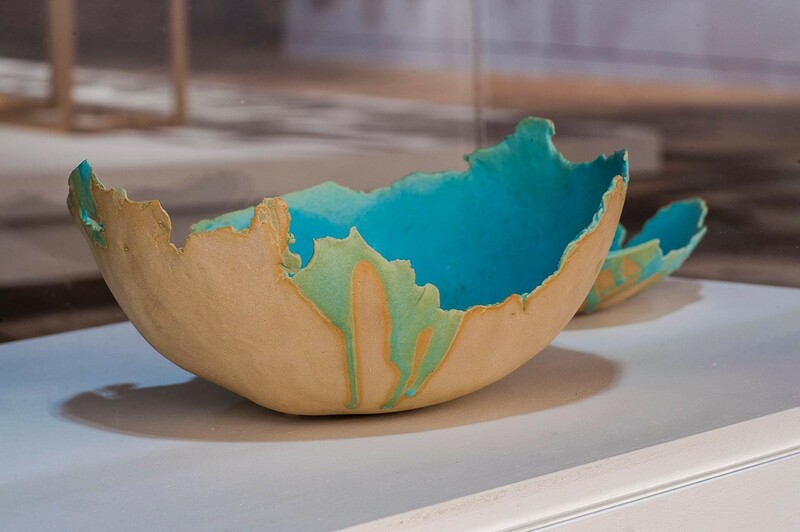 Alongside Evaporation, Kovats is showing a selection of ceramic works inspired by the seas, drawings produced by a similar evaporation process to the bowls, and her acclaimed large-scale installation, All the Seas, as well a live digital drawing of Britain’s high tides, which is also showing as part of the exhibition, One and All at Somerset House. What makes Evaporation resonant right now is its timing and its inclusion in ArtCOP21. International scientists and NGOs are deeply concerned that the Paris climate talks will not adequately address the oceans – a dangerous move, considering the vital role oceans play in preventing climate change, by storing half of all man-made C02 on the Earth. A host of organisations have come together asking that the oceans be taken into account at this make or break moment, pointing out that unless the oceans are a serious consideration in the pledges, the fight against climate change will not succeed. That’s where Kovats’s work fits in. “I think all artists are witnesses,” she explains, “I don’t know if they can change anything, but sometimes you have to be a responsible witness. 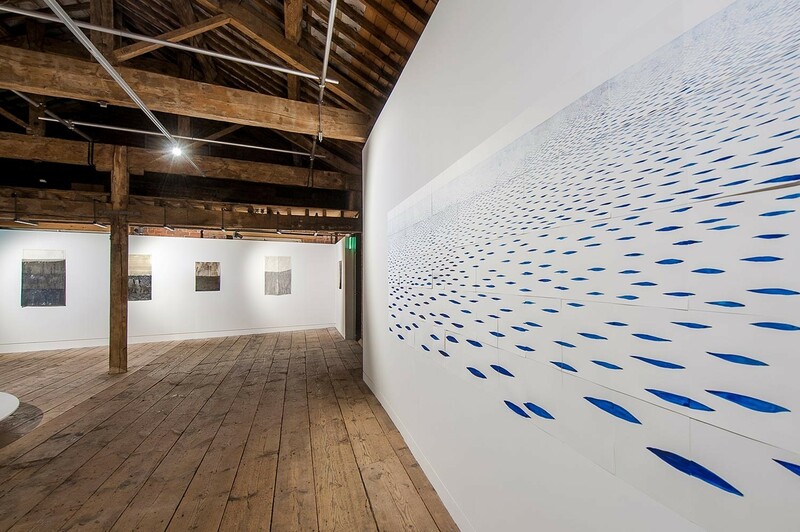 “To mark her new exhibition at this pivotal time, Kovats spoke with AnOther about the landscapes that have inspired, and how to see the interconnectivity in everything. When you received the Lovelock Art Commission, how did you approach James Lovelock’s work? It was James Lovelock’s Gaia theory that particularly appealed me, because of the nature of my work on seas and rivers. He’s a maverick scientist, and he’s a real maker as well. I like the way he speaks about his own creative processes and the importance of collaborating, and not having boundaries between particular areas of science. He is a very interesting character, if notoriously difficult. Also, reflecting on his idea that the largest living thing on the planet is the planet itself is a fascinating thought to mull over. Where there any other influences that went into creating Evaporation? Rachel Carson’s book “The Sea Around Us” - I love that book and I have many editions of it. She writes with such a poetic voice about big, important scientific ideas. I thought about some of the things she spoke about – the way the first oceans were formed, so imagining a dry planet and as it cooled down, the clouds condensed and that allowed the rain to start. And then it just rained and rained, we can’t even imagine how much it rained, and it washed particles of the land of into the sea. The sea is this enormous solvent of everything on the planet, I really like that image. What environmental issues do you feel most strongly about? I really support the idea of marine reserves, areas we just leave alone. That’s critical. You need to create reserves in a way that brings communities and national politics with you. There are parts of the planet that need to rest and recover. But I don’t think that that’s an element within my practice. It’s very simple, we just need to make better decisions. Decisions that go beyond national borders and priorities, in the way that birds fly across the border. We need more shared thinking. How did your experience in the South American rainforest influence your practice? I was traveling in South America with my partner and kid for six month, and we saw people living in very sustainable ways that I have never seen before. When we were in the salt flats, you saw buildings made out of salt, near the jungle, the structures are built from bamboo. You know, everyone is using what they have, in this integrated way. It’s simple, but you think ‘Why do we import all this stuff? Why don’t we use what’s here?’. It’s a different understanding of how people live, these alternatives ways of living. Do you see those alternative ways of living becoming the norm here someday? They might be forced on us, (laughs). I don’t know if we’ll have choices, we have a lot of choice at the moment, and I don’t know if those choices will always be available. I don’t know what climate change is going to take away from how we live now, I just know that it’s going to take a lot. What responsibility do artists have? Well, I think artists make very good witnesses. I don’t know if they’re good change agents, but I think they are really good witnesses. And sometimes you have to be a responsible witness. Evaporation is on at the Museum of Science and Industry in Manchester until May 15, 2016. 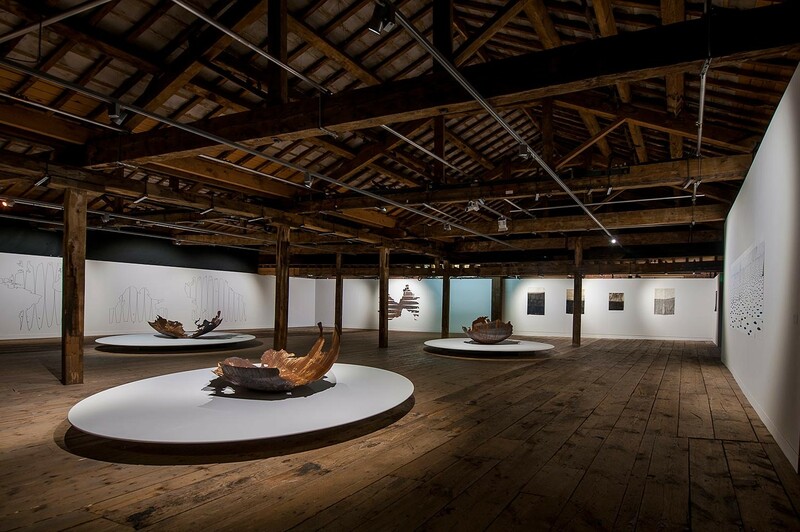 One and All is showing at Somerset House until December 13, 2015.